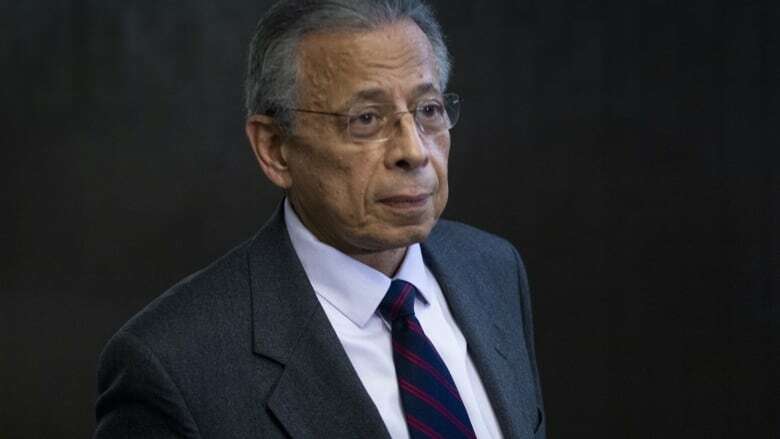 A judge has cited unreasonable delays in the case against Sami Bebawi, who still faces fraud and corruption charges in connection with contracts negotiated with the former regime of Libyan dictator Moammar Gadhafi. Sami Bebawi, a former SNC-Lavalin executive, and his tax attorney have had obstruction of justice charges against them stayed because it took too long for their case to get to trial. Bebawi, who was vice-president at the Montreal-based engineering giant, and his lawyer Constantine Kyres, were charged in 2014. The pair were accused of trying to obstruct justice in another criminal case, involving Bebawi's work securing contracts in Libya. Quebec Superior Court Justice Guy Cournoyer handed down the ruling Friday, citing unreasonable delays. Cournoyer invoked the Jordan decision, a 2016 Supreme Court of Canada ruling that sets out timelines to deal with criminal matters. He said the case was dormant for 11 months and called it a "ship without a captain." ​Bebawi is still facing charges including fraud and bribery of a public official in relation to SNC-Lavalin's dealings with the regime of the late Libyan dictator, Moammar Gadhafi. The trial is upcoming. A request to have those charges stayed was rejected. The Crown said it would take time to decide whether to appeal the decision. Bebawi declined to comment. The case stems from the same Project Assistance investigation that led to charges against SNC-Lavalin. Those charges continue to fuel controversy in Ottawa following a report that the Prime Minister's Office pressured former attorney general Jody Wilson-Raybould to help the company avoid criminal prosecution.